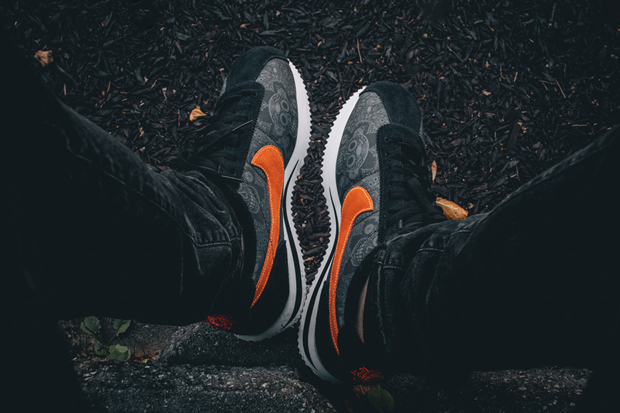 Nike Sportswear has spent a good portion of 2015 trying to make the Nike Cortez a formidable retro fro the modern sneakerhead. 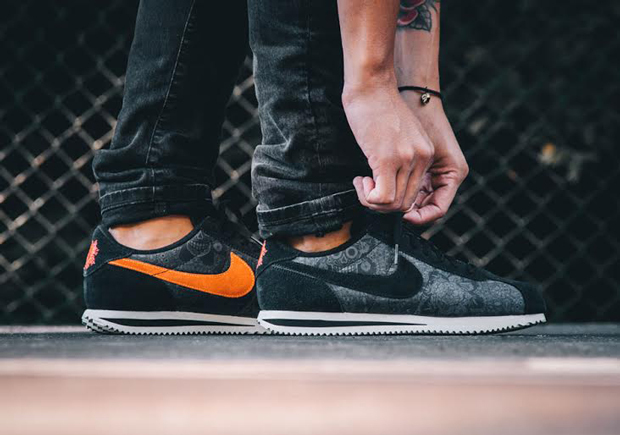 One of the Swoosh’s oldest and most recognizable models, the Cortez has been brought back with the help of a Roshe-like tooling, as well as the OG pair complete with Blue Ribbon Sports branding on the insole. 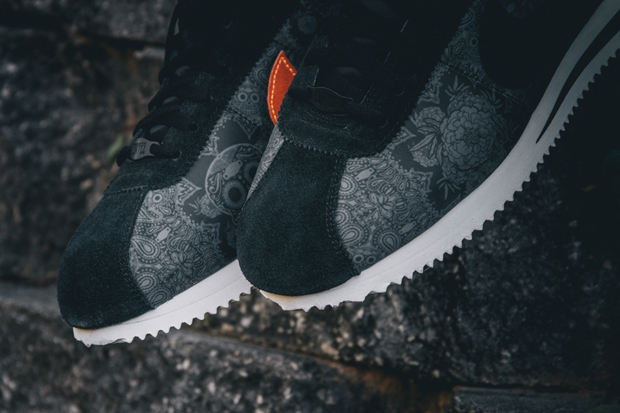 Now we see the Classic Cortez veer off path with this Day of the Dead inspired colorway. 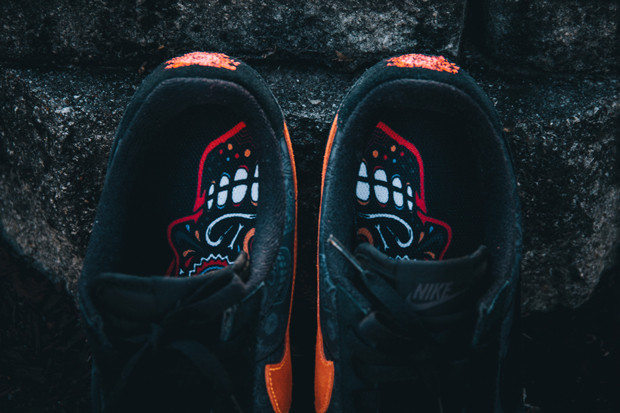 The festive look utilizes a Halloween-ready black and orange construction as contrasting Swooshes boast a black suede on the outside and orange on the medial. 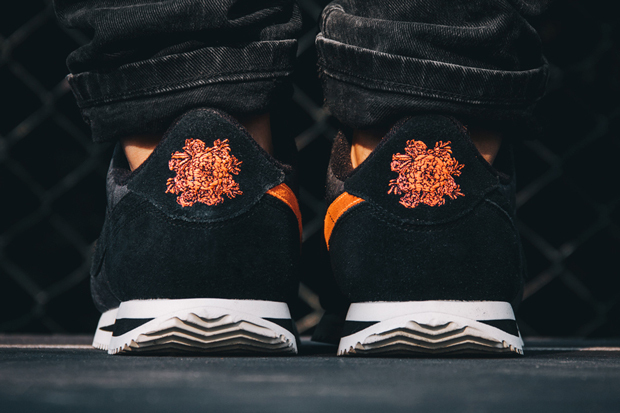 An interesting albeit faint print adds some depth while a unique rose logo hits the heel. What do you think of the pair? 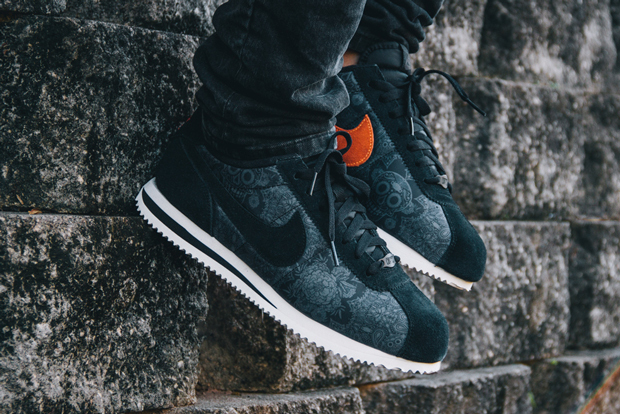 Check out a better view below and pick up your size today via Wish ATL.